I’m so excited to share with you that my book has finally arrived from Europe to Australia and I can eventually hug my ‘third baby’. It is an evidence-based publication as well as a cookbook with over 70 raw, vegan and vegetarian recipes suitable for children and categorized by age suitability. I call the book my third baby as it took me exactly 9 months to put it all together and print it out. We have printed 5000 copies and within a month over 2000 copies have been already sold in the Czech Republic and Slovakia. 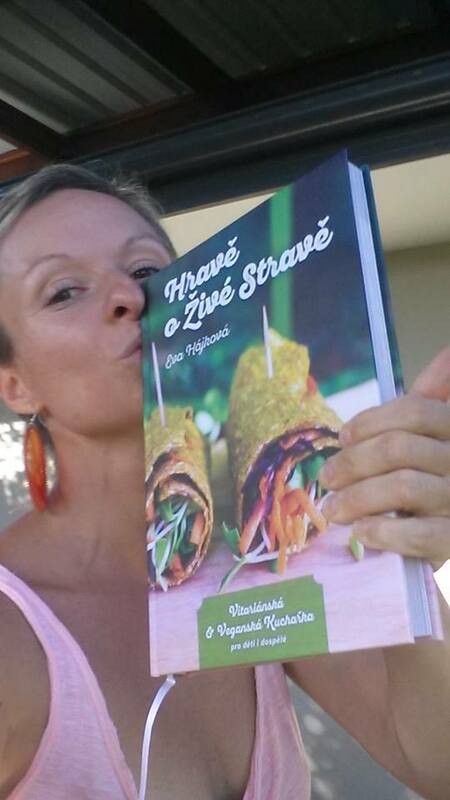 If you understand Czech language and live in Australia, I can now ship it to you, just let me know in case you are interested in purchasing this special edition. 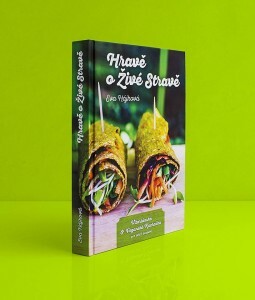 As you can imagine, I have been pretty busy with marketing campaigns, learning new things not only about writing, printing and promoting a hard copy book, but also about Public Relations, print releases, and interviews all within Czech republic and Slovakia. So I do apologize for not being as active right now. Dobrý den dalo by sa objednať vašu knihu a poslať do UK? Dobry den, ano, knihu si muzete objednat pres muj cesky web http://www.hrave-o-zive-strave.cz a posleme do UK, neni problem.